Rolbak 30 Foot Guard Net Set with Pegs, Ground Anchors, Steel Posts and Carry-All Bag. To ensure a safe and secure outdoor space especially for the young ones, this Rolbak Guard Net acts as an effective barrier you can easily set up. Measuring 30 feet long and 5 feet tall, it can stop errant sports balls and block paths going into the street or dangerous slopes. It provides some peace of mind for parents with active little ones while outdoors. This guard net can also be used to protect flower beds or act as a divider for courts and fields. Along with the net are a set of installation guidelines, pegs, ground anchors and steel posts so your outdoor net can be installed within minutes! Also included in the package is a Rolbak Carry-All Bag so you can move your set-up from one location to another. 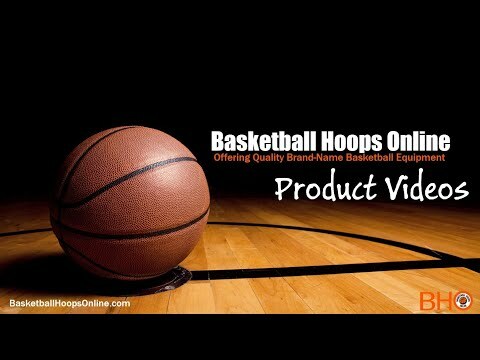 Buy from Basketball Hoops Online and get FREE SHIPPING on your purchase. HIGH-TENSILE, DURABLE NETTING - This net barrier has a tough, polyethylene netting that has a thickness of 2.5 millimeters - capable of withstanding forceful hits and long hours of play.